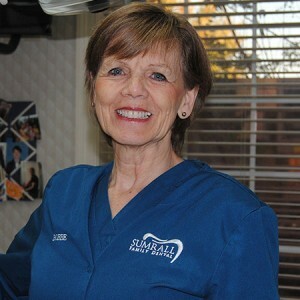 Elease, has enjoyed working for Sumrall Family Dental for 28 years. She has been married for 42 years, has 2 children; Andy and Julie, a wonderful daughter in law Sandi, and a beautiful granddaughter Grace. Elease graduated from Macon State in 1987 with an Associate in Science degree and Dental Hygiene license. She attends Second Baptist Church. Her hobbies are working with children at church, church choir, scrapbooking, traveling in their 5th wheel camper and going to visit her children in Kentucky and Atlanta. Amy grew up in Vienna, GA and graduated from high school at Fullington Academy. She attended dental hygiene school at Macon College (now Middle Georgia State University). She graduated in 1995. Soon after, she married her husband Brad and they now have 2 children, Luke and Laura Kate. 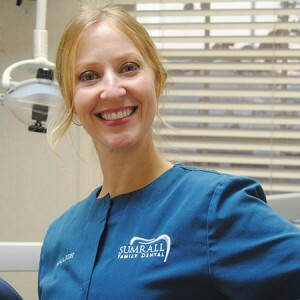 Amy has been working with Dr. Sumrall for over 20 years. She attends church in her hometown of Roberta, GA where she plays the piano/keyboard for the praise and worship team. She enjoys music, traveling, shopping and spending time with her family. Sonja grew up in Warner Robins, Georgia. She graduated from Houston County High School, and then from Central Georgia Technical College in 2005 with a degree in Dental Hygiene. She enjoys spending time with her daughter, Aliyah and her family. She loves spending time doing anything involving the outdoors, loves singing and music. Tiffany was born in Warner Robins, Georgia. She graduated from Northside High School, and then from Macon State College (now Middle Georgia State University) in 1997 with a degree in Dental Hygiene. 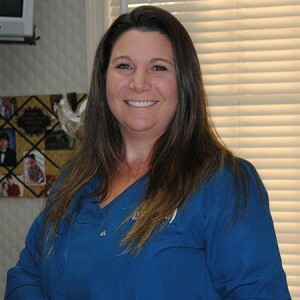 She first started working for Dr. Sumrall in 1999. Tiffany married Slade in 1997 and they have six children. She is a member of North Newington Baptist Church where her husband is the Senior Pastor. She enjoys schooling her children, sewing, and working on their farm. Allison was born and raised in Warner Robins, GA. She is a 1996 graduate of Northside High School. 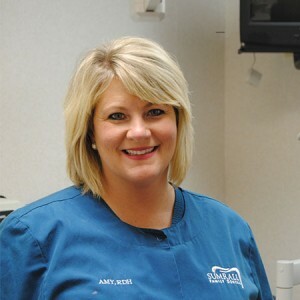 Allison graduated Macon State College in 2000 with a degree in Dental Hygiene. 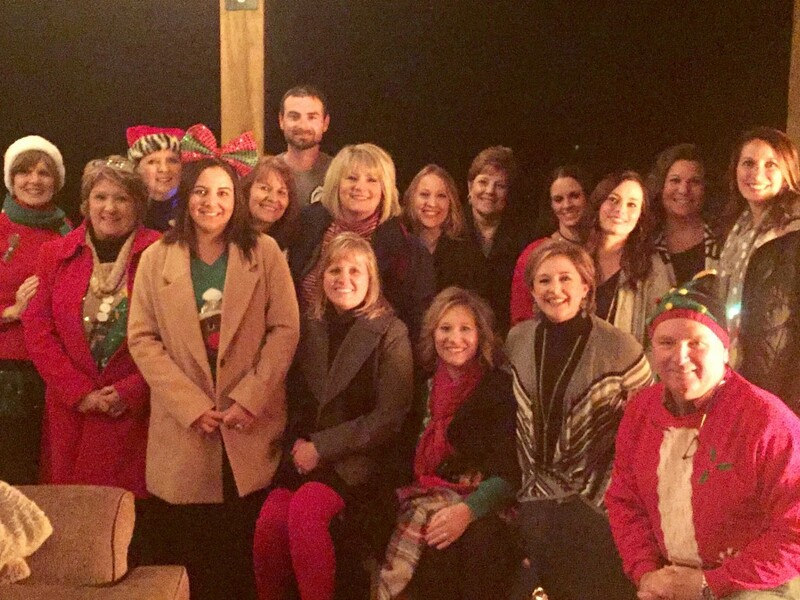 She has been a part of the Sumrall Family Dental team since 2008. Allison married Tim in June 2000 and has 2 children, Coleman and Alli Grace. Allison is an active member of First Baptist Church of Centerville. When not working, you will find her volunteering at the kids’ school, cheering them on at their sporting events, and just enjoying being a mother! 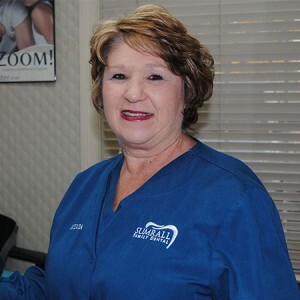 Bobbe is an Expanded Duties Dental Assistant and has been with Sumrall Family Dental since 2008. Bobbe is married to Dan and they have five children and ten grandchildren. She enjoys cooking and sewing with her granddaughters. She attends Grace Church in Perry Ga. She also enjoys camping in the beautiful outdoors with her husband. 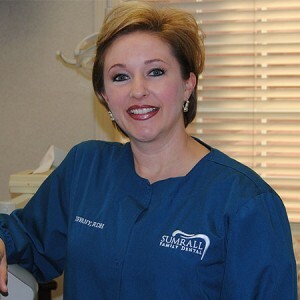 Sylvia is an Expanded Functions Dental Assistant and has been with Sumrall Family Dental since 2009. 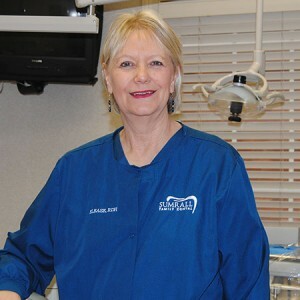 She has worked in the dental field since 1988. Sylvia was born in Macon Ga and now lives in Lizella with her husband Lynn. She has three boys, two daughter in laws and two grandchildren. She enjoys spending time with family, being outdoors, going to Zumba and the gym. 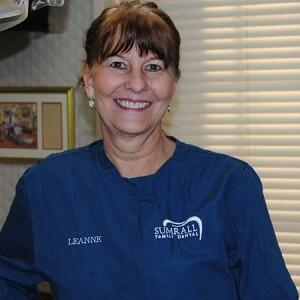 Leanne has been an Expanded Functions Dental Assistant for 45 years. 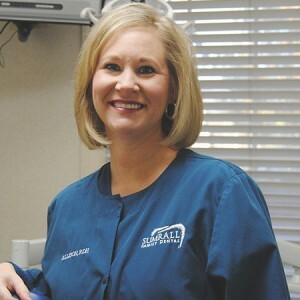 She has worked for Sumrall Family Dental since moving to Ga from Arizona in 1998. She’s been married to Ritchie for 17 years, has 2 boys, a step-son, a daughter and has been blessed with 3 grandchildren. Leanne loves organizing, building things and working in the yard. Diana is one of our Dental Assistants. 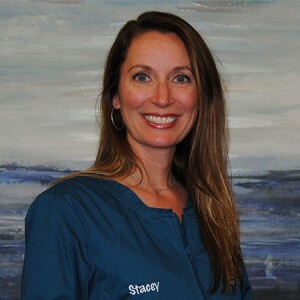 She has been with Sumrall Family Dental since 2015. She has been in the dental field since 1998. You might also find her working up front to help out. Diana has a son named Carter and two dogs named Duke and Allie. Diana and Carter are huge Georgia Bulldog fans! Go Dawgs! Stacey is a native of Warner Robins. Having worked in healthcare for over twenty years, she is fairly new to dentistry. She enjoys working with people and looks forward to learning the field of dentistry. Stacey and her husband have two daughters. Outside of work, she enjoys traveling to new places and spending time with family and friends.